After less than a year of construction, 525 Water condos has “topped off” according to a press release, which means the building has reached its maximum height. The five-story building will contain 108 condos and is adjacent to the new St. Augustine’s Church, where a groundbreaking ceremony was held last month. 525 Water is also adjacent to the new 3.5-acre Waterfront Park. The above photo was taken in early June when the building was only at three stories. PN Hoffman and Madison Marquette are partners on this development, which will be the first residential building to deliver at The Wharf. Delivery is scheduled for next summer and condo sales are slated to begin this fall. Prices will begin in the $400s for studios with the largest three bedroom units selling for over $1 million. 525 Water will be joined by VIO, which is the second condo building planned during phase one of development. Sales at VIO will begin this summer. Also in Wharf news, a tower crane is now visible for the planned Intercontinental Hotel – signage on the crane is illuminated at night. The WBJ reports that three additional tower cranes have been recently approved for the site, which is now a huge hole in the ground. Demolition began last week at the former Southeastern University campus building, located at 501 I Street. It will take approximately five weeks to demolish the structure, which has been vacant for several years. The Shakespeare Theater Company purchased the building last year from the Graduate School USA and has partnered with developer Erkiletian to build a mixed-use project with space for theater operations and apartments above. There will be a presentation tomorrow evening at Westminster Church (400 I Street) starting at 7pm where the development plan will be shared with the community. Demolition in the background & Amidon-Bowen roof replacement in foreground. A new National Mall Circulator route makes its debut on Sunday, which will connect Union Station to the National Mall and Tidal Basin. Click on the map above to see where the stops will be located. A ceremonial ribbon cutting will be held tomorrow at 11am at the Lincoln Memorial with dignitaries including Mayor Bowser and DC Delegate Holmes Norton. 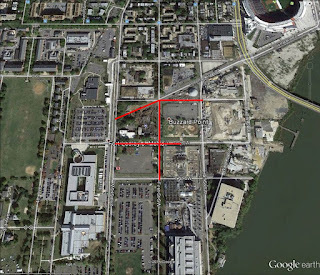 Now the question is, when will the Convention Center-Buzzard Point Circulator route that was funded in the DC United stadium deal restart? Also, when will the Union Station-Navy Yard route extension to Waterfront Station occur? The playground at Randall is now open for use while the newly planted grass still needs time to grow. It’s been several years in the making, although the improvements are a scaled back version of the original plans due to cost overruns. For instance, the skate and splash parks have been replaced with grass. Below are some additional photos of the new plaza and playground. The next phase of improvements includes a new turf baseball and soccer field that will be built under a partnership with DPR, the Washington Nationals Dream Foundation, Cal Ripken, Sr. Foundation, and Under Armour. The new turf fields should be complete by November. Fencing is up and raze permits have been approved for the demolition of the former Southeastern University campus at 501 I Street. Demolition will begin later this month after school is out for the summer at neighboring Amidon-Bowen Elementary. The demolition process will last five weeks, starting on the north side of the site for the first week and moving to the west side during weeks two and three. Then demolition will shift to the east side for the last two weeks. Work hours will be from 7am to 5pm Monday through Friday. All of the debris from demolition will be sorted on site, placed in containers and then hauled to recycling centers. In addition, all of the hardscape and landscape materials will be removed from the site, but Erkiletian has offered to provide the materials to members of the community or for use on other public sites, such as the Southwest Duck Pond or the SW Community Garden. For those who are interested, contact Paul Kokosinski at Erkiletian if you would like any of the landscape materials on site. The Shakespeare Theater Company is partnering with Erkiletian at 501 I Street to build a nine-story building with approximately 155 residential units (a portion of the units will be set aside for actors, interns and affordable housing under Inclusionary Zoning), as well as rehearsal space, a black-box theater, a costume and set equipment fabrication shop, and the administrative headquarters for the Company. Most of STC’s operations will be located below-grade. Once demolition is complete, the site will be leveled off and remain fenced off until excavation begins, which won’t happen for 12 to 14 months since the developer still needs to go through the PUD process. 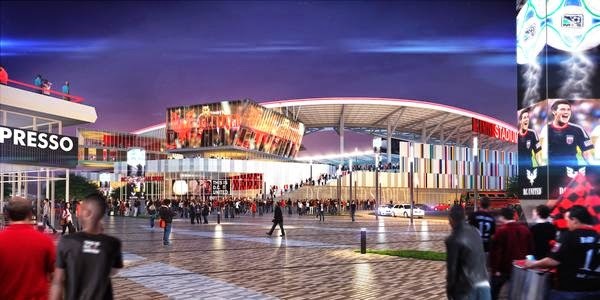 There were some reports in the media last week that the team was considering moving to Loudoun County at the last minute, but the city and team have come to terms on an agreement which keeps the team in DC. 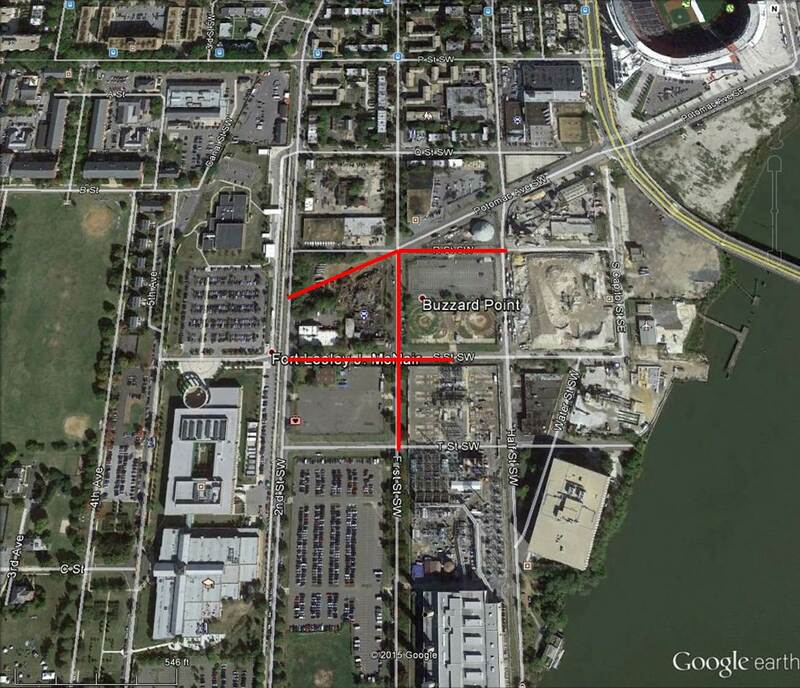 The deal calls for the District to finish acquiring the land needed for the stadium footprint by September 30. At that time, road closures around the stadium site will commence and demolition will begin by October. Akridge still owns a portion of the land needed for the stadium and the city will need to use eminent domain if the two parties cannot come to an agreement on price. The 20-25,000-seat stadium is scheduled to be completed by the 2018 season. A formal press conference is scheduled tomorrow morning at 11am, after which the DC Council will take up legislation for the road closures (see below).